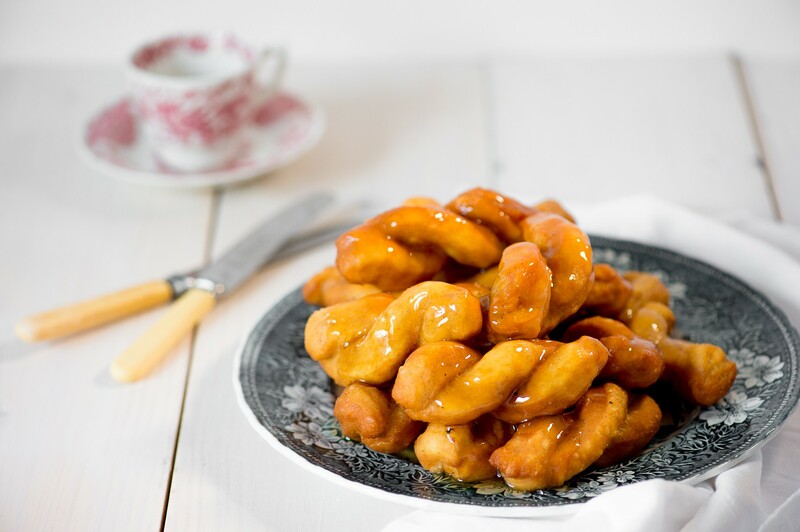 Koeksisters are a well-known treat amongst South Africans, especially the sweet-toothed ones! 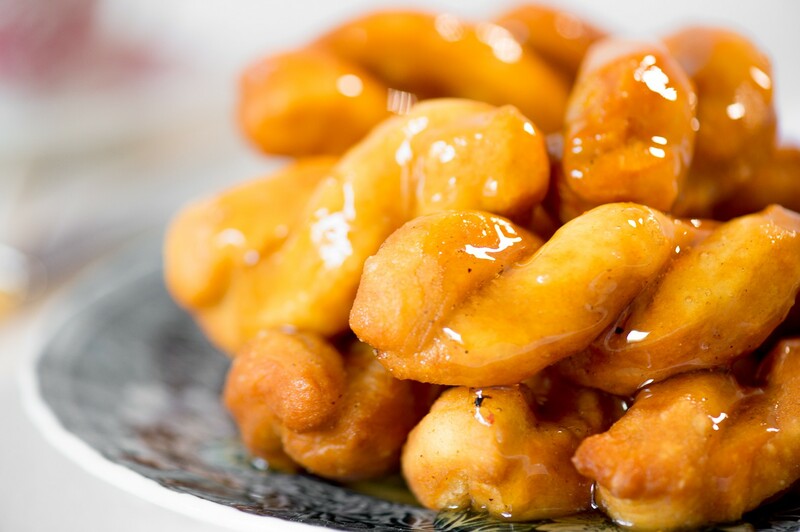 For those who haven’t had the pleasure of trying a Koeksister, they are delicious deep-fried twists of dough that are dunked in a thick syrup. They are similar to doughnuts, although most Koeksister recipes make use of baking powder and not yeast as a leavening agent. 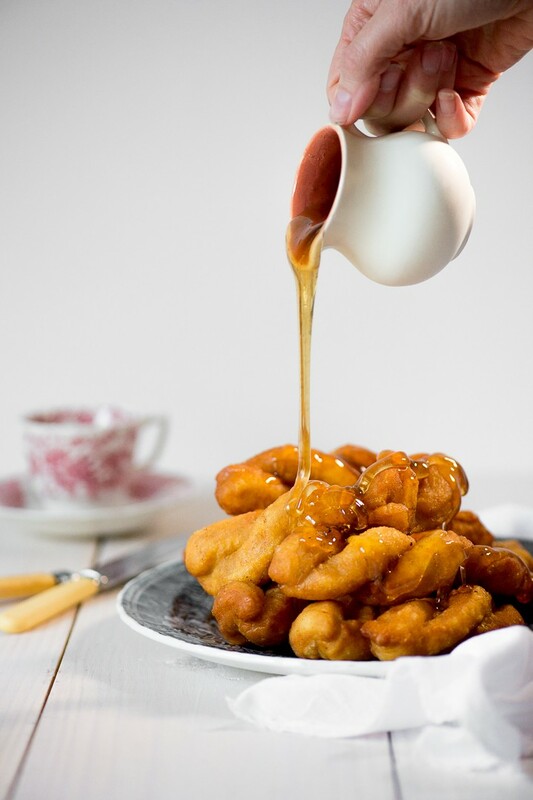 Traditonally Koeksisters are made with a lightly flavoured syrup, containing just a hint of lemon juice and cinnamon. And of course, loads of sugar. It’s always risky making changes to a traditional recipe (especially one that’s been around as long as this! ), but I took a chance and added some extra Chai spices to my syrup. For me, this really adds a depth of flavour to the Koeksisters. For a classic version, simply leave out the cardamom, ginger, cloves and black pepper. Start by making the Chai syrup the day before. Add all the syrup ingredients to a saucepan. Heat over low heat until the sugar has dissolved, then increase the heat and bring the mixture to a boil. Boil for 10 minutes, then remove from heat and allow to cool at room temperature. Store the syrup in the fridge overnight (it must be ice-cold before using). To make the dough sift together the flour, baking powder and salt. Add the butter and rub in with your fingertips until the mixture resembles fine crumbs. Beat together the egg, water and vanilla. Add gradually to the flour mixture and stir together until you have a firm dough. Turn out onto a floured surface and knead for 3-5 minutes. Wrap the koeksister dough in clingfilm and leave to rest in the fridge for at least 1 hour. Pour your oil into your Russell Hobbs deep fryer and heat to 170°C. Roll the dough out to a rectangle about 5mm thick. Cut the dough into slices about 8cm long and 3 cm wide. Cut each of these again in half long ways, but don’t cut all the way so that the 2 strips are still connected at the top. Gently twist the two strips around eachother and press to secure at the end. Repeat with the remaining dough. Remove half of your syrup from the fridge and strain into a bowl ready for dipping. Drop the 3 koeksisters into the hot oil at a time and fry for 1-2 minutes each side, or until golden brown and cooked through. Remove and drain the koeksisters on absorbent paper. Immediately submerge the koeksisters in the ice-cold Chai syrup and leave to soak for a minute or so, then place on a cooling rack so the excess syrup can drain off. If you like your koeksisters crisp, don’t soak them for too long in the syrup. If you prefer them very juicy, leave them in a bit longer! Repeat with the remaining dough and syrup. When the syrup starts to become warm, swap it out with the syrup in the fridge. The koeksisters are best eaten the same day but they can be frozen.